Is the time right for cyclicals? Foreign direct investment (FDI) into The Bahamas has helped to accelerate economic growth, providing jobs and injecting capital. Efforts to attract an even greater flow of FDI to the island nation are ongoing, with the government providing numerous investment incentives. 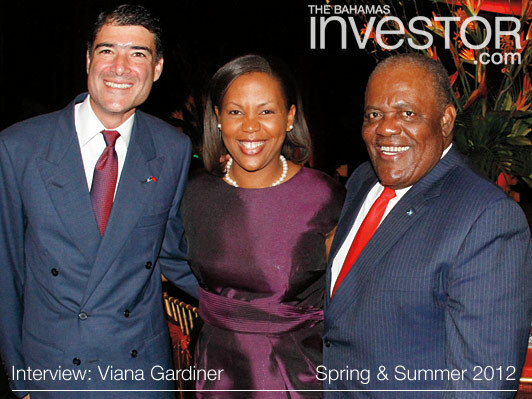 One of the first stops for potential foreign investors is the Bahamas Investment Authority (BIA). The BIA’s primary function is to serve as the administrative arm of the National Economic Council (NEC)–a Cabinet sub-committee headed by Prime Minister Hubert Ingraham. The council evaluates proposals and decides which projects can proceed. The BIA implements the government’s national investment policy and helps to facilitate those projects that receive the green light. Viana Gardiner, acting director of investments for Joy Carey Jibrilu, has been heading the BIA for most of the last two years. Gardiner began her public service career in 1996, as an officer facilitating and coordinating FDI. She has held many positions in the BIA and is the substantive deputy director of investments. Q: What types of services do you provide to foreign investors? A: We identify areas for investment where the government is seeking to attract business and, in particular, areas where the level of capital investments that the investor has available would be best served. For example, the government is particularly interested in boutique resorts. We want small high-end hotels throughout the Family Islands. We may suggest to someone with, for instance, $5 million that they may want to develop a small bed and breakfast on one of the Family Islands. 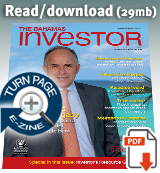 Certain areas are targeted at overseas investors. These include condominiums and time shares, second-home developments, international business centres, marinas, information and data processing services, agriculture, assembly services, high-tech services, ship repair, light manufacturing and other services. Q: What has been the growth rate in FDI over the last five years? What is the current level? A: The BIA relies on statistics from the Central Bank. It is difficult to get accurate data. Many people may start an investment, but not put all of what they said they would invest into the ground. In 2005, for example our records reflected $2.2-billion worth of investment was approved, but we know we did not have that amount of FDI. That year’s figure probably includes the approval of the Baha Mar [Cable Beach mega-resort] development. In 2006, the approved FDI figure was $3.8 billion. It jumped again in 2007 to $7.1 billion. But sometimes projects are revised, so a project may be reflected in the data twice. In 2008, given the global economic environment, we had a decline, with the [approved] figure that year being $1.2 billion. In 2009, it dipped to $928 million. However, in 2010, it was back on the rise at $1.2 billion. I suspect that this increase is going to continue. There is definitely an increased level of interest in doing business in this country. A: During the recession, the government took the decision to use its resources to carry out infrastructural developments. It invested in the redevelopment of the Lynden Pindling International Airport and the new straw market [in downtown Nassau]. It started road improvement projects and completed the dredging of the harbour. This improved our attractiveness to potential investors. We started a new promotional campaign based around these improvements. The Baha Mar project is another draw. There are so many additional spin-offs that can come from having such a huge development, as Atlantis has shown. Once the resort is open, hopefully it will attract huge numbers of new visitors to The Bahamas. Q: How many project proposals does the BIA receive annually? What’s the turnaround time? A: In a low period we receive around 100 proposals on an annual basis. The turnaround time varies. For Family Island projects we always consult the district council. It is important to know if the community wants the project. Sometimes we can turn around a project within 45 days. Other times it may take as long as two to three months, depending on the complexity of the project and the number of agencies that may need to be consulted. If there’s a straight forward matter that doesn’t require any consultation, we can turn it around in 30 days. Q: Once the government receives a proposal, what happens next? A: The BIA seeks to understand what the investor wants to do in The Bahamas and facilitates getting what they want accomplished. Proposals are forwarded to the NEC for a decision. Once a decision is made, the BIA’s real job starts, which is seeing those approved projects go vertical. We coordinate with all of the other government agencies. We act as a filter, a liaison and a troubleshooter. Our goal at the end of the day is to see projects go vertical. When projects succeed, Bahamians get employed. The economy moves and grows. We not only serve as the administrative arm of the NEC, but also facilitate and help with the implementation of investment projects. The government has a compendium of investment incentives legislation and we administer quite a bit of that legislation. Persons who are looking to develop a hotel or a hotel-related activity, for example, can receive concessions including customs duty exemptions or real property tax exemptions for a particular period of time under the Hotels Encouragement Act. Similarly, we have a unit that deals with encouraging industries and light manufacturing. Under the Industries Encouragement Act concessions include customs duty exemptions and real property tax exemptions. There is also The City of Nassau Revitalization Act, which offers concessions. The BIA is the government’s agency to award available concessions. We process the applications. We put out the public notices. We advise customs. We conclude the agreements, which are legal documents between the government and developers, as it relates to what they are going to do first and what they are going to receive from the government in return. Administering concessionary legislation is another big part of our job. The International Persons Landholding Act generates a large portion of our work. It is pursuant to this piece of legislation that all non-Bahamians who purchase property in The Bahamas get the approval that they require. They either need a permit or a registration certificate and we process all of those and send the applications forward to the Investments Board, which makes the decision, and then we issue the respective certificate or permit. Q: What requirements must be met for a project to gain approval? A: First and foremost it has to be in an area that is targeted for foreign investors. Then it has to meet our minimum capital investment. Once those requirements are met, we have to start doing due diligence. We look at all the data provided, determine the level of risk and investigate further depending on our findings. If a project mentions cutting inland, that is likely going to need an environmental impact assessment and environmental management plan, which are reviewed by the Ministry of the Environment. A project that includes a golf course or a marina takes more time, but we want golf courses and marinas in certain areas, so we have to go through what’s required to get them approved. If your ratio of employing Bahamians to non-Bahamians is significantly higher then that is also a very good sign. Sometimes Bahamians may not be available to fill particular positions because of the level of expertise, but work permit applications are processed based on needs. Q: What recent trends in FDI have you noticed? A: Rather than constructing a $10-million boutique hotel, investors are opting to buy three houses and rent them. That is a very popular trend at the moment and we are looking to further grow our second-home market. In project financing, there is a trend where sponsorship for commercial projects is coming from financial institutions in Asia. But, I have noticed that persons who are seeking to invest now are using equity as opposed to financing. For the most part it is their money or it is their partner’s money.They are looking at smaller developments, the kind the government is particularly interested in. What I find is that investors want something they can love at the end of the day. They find a beautiful beach and they fall in love with it and they want to invest in a development that is personal to them. That is why I think they are using equity to do so. They are quite prepared to put $15 million or $20 million of their own funds into the ground. Q: Any recent policy amendments making it easier for investors to live and do business in The Bahamas? A: If you own a home in The Bahamas valued at $1.5 million or more you can receive accelerated consideration for permanent residency. The Prime Minister in April set a time period of 21 days for approval. We raised the level of minimum capital investments from $250,000 to $500,000. Major developers can also receive accelerated consideration for permanent residency, particularly those involved in projects worth tens of millions. Q: What does the future hold for the BIA? A: The BIA has expanded its staff complement over the last year. We have obtained particular skill sets including an attorney and advertising expert. The idea is to facilitate the workload and the efficient service we are able to provide. As a part of the e-government initiative, we are now making available online all of the forms used by the BIA. Our objective is that soon investors would be able to submit their project proposals online. The easier it is for someone to do business in the country, the more business they will do.